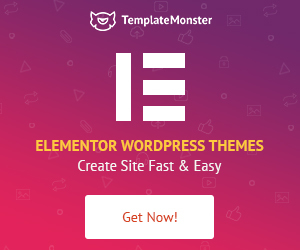 If you are looking for best quality free or premium html website templates for Donation, Charity, Church or NGO Company then you are in the right place. Here you are going to find some fantastically designed Charity, Church, Donation and NGO website templates. We will show you here some best quality free html templates for donation, NGO, Charity & Church etc. But we personally recommend you to purchase premium template if you have budget. Because premium templates are huge feature rich, eye-catching & have professional look. These templates have almost all kind of features that a donation, NGO, church or charity type website need. You can display your events, programs, goals, works, sponsors, photo gallery in such some fantastic ways through these premium charity website templates below. Are you running any non-profit program like NGO or Charity or Church which need donations & help? If yes! Then you can present your programs nicely over online through build a beautiful charity or donation website, where you can receive donations & helps from all over the world. For new or small organization, first you can start with free templates (although premium templates are not so expensive only 15$-20$) which are also beautiful but have limited features (it’s ok, enough for new or small programs). 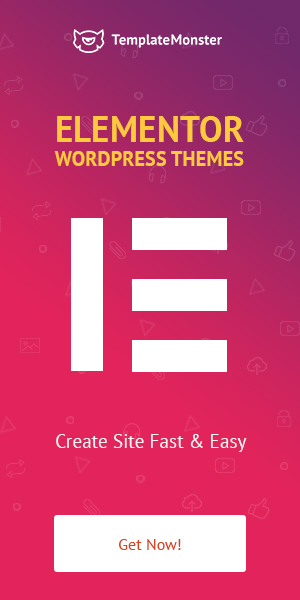 Otherwise choose premium template from these collection below and hire a web developer from Upwork or Freelancer or other marketplace to setup the template according to your needs. If you are a web developer and want to develop this type of website (NGO, charity, donation, church) for your clients then you can choose a premium charity donation template from below if your client haven’t any pre-designed psd template for you. It will save your lots of time to make a custom design template. These charity or ngo website templates are not too much expensive only 15$ – 20$, see below. You will get a ready mate professional & beautiful looking template for your client. After purchasing you can edit the template according to your client requirements. Don’t forget to share this collection over social media if you liked. This is a free beautiful responsive html template for NGOs, donations, Churches & Charities. It’s Very beautiful looking and clean design. It’s a fresh & clean design template, best for donation charity website. But this template is not responsive. Hope Center is not responsive but beautiful design & best for small NGO website templates. If you are looking for a free professional looking charity or NGO template then feel free to use it. Although it’s not responsive but well designed. Choosing Lifeline will be a great decision because it was designed especially with non-profit organization in mind. Tons of features implemented & all those are non-profit related. So if you own a non-profit organization & want to build a website, choose Lifeline. You will be able to display all of your works, contributions, team members, goals, facilities, activities & others as well. For collecting donation Lifeline includes dedicated donation pages. Same products are purchasing by many organization but everyone wants to present them uniquely. That’s the reason the designer includes 7 different unique layouts. You can grab one of them for creating your own unique non-profit or donation website. All the pages are responsive & will look beautiful in HD screens because of the retina display support. Over 7 different pre-made demos included. Even you can change your header style from the pre-made four different style. If you need to change default color set, you can do that as well. Lifeline comes with unlimited color schemes. It has $14 worthy premium layer slider which you will get completely free of cost. For shopping system integration Lifeline included all the e-commerce pages. Helping Hand is another template that designed especially for donation & non-profit organization. It includes huge features which help you to expose your organization fantastically. It designed based on bootstrap 3. Your website will look great on any kind of devices if you choose Helping Hand to build your website. It is completely responsive & retina ready. It includes a working php contact form with validation. Not only that for collecting donations Helping Hand has a dedicated donation page. If you have an awesome volunteer team, testimonials, services, photos & want to present them with clean & professional way, you can do that. This template comes with all those non-profit related features that you will definitely need while developing your donation website. Some key features you may quickly want to know. It includes testimonial section where you will be able to display feedbacks, the volunteer section lets you present your awesome team members with their little profile. A skill counter section included where you can showcase your skill or some milestone. Do you have lots of beautiful photos of your organization? You can showcase them in the photo gallery section which is integrated with prettyphoto means your photos can be displayed in the modal pop-up window with social buttons. Maximum pages comes with multiple layouts such as blog, cause, gallery, event, team etc. Charity Foundation designed based on foundation framework. It developed with latest html5, css3 & jQuery. It looks simple, clean but you can create professional non-profit website by using it. This template built with sass technology which will help developers to make it dynamic efficiently. A premium slider plugin you will get with Charity Foundation template. Your website will be supported on all major browsers such as chrome, safari, Firefox, opera, IE etc. Because it’s cross browser compatible. Responsive technology included for all of the pages so no need to worry about smartphone users. For charity, donation & non-profit organization Grant will be a great choice. All the necessary features you will find in this template such as cause, project, portfolio, gallery, donation & much more. It can be perfectly used for charity, church, donation & non-profit websites. Grant designed based on twitter bootstrap 1200px grid. Most of the pages comes with multiple layout option, so you can choose one that suits you best. It has responsive design for giving support for various device screens. Generous comes with wide & box version. It designed with latest bootstrap framework. For presenting featured content it includes a premium slider plugin which is revolution slider. It looks beautiful, clean & simple. Looks the design concept based on flat. You will be able to showcase your awesome team members, your sponsor’s logo, promo video, milestones & more. Some section integrated with parallax effect. All modern browsers are compatible with this template. If you are looking for a simple, clean template for your donation website then you can choose Cleanex. It will let you showcase only the important part of donation, charity related contents. The slider area designed to present featured contents. Gallery page included for displaying your beautiful photos. All the photo can be opened-up in pop-up gallery. Blog section & contact page also available. You can publish your latest activities, news & other related contents there. Your sponsors or visitors can communicate with you through the contact page easily. It’s a clean designed fundraising template that help you to build a professional donation or non-profit website. It used to design html5, css3, less, jQuery & bootstrap 3. All pages are responsive & has retina support. Premium revolution slider included for creating amazing slideshows. BeVolunteer comes with box & wide layouts. Not only that, you can set unlimited color schemes according to your requirements. The ready to use contact form developed using jQuery & php. You can showcase your all beautiful memories in a filterable gallery page. Fresco lightbox integrated for displaying images in pop-up view. This is an excellent non-profit charity website template that comes with 54 awesome html5 css3 pages. All of them have responsive design & retina support. It can easily fulfill your all requirements. You will have all the essential pages like contact us, about us, dedicated donation page, 404 error, coming soon & much more. HelpMe includes multiple page layouts for the most important parts. The blog section has 13 different layouts, 8 different pre-designed home page layouts, 7 beautiful gallery layouts, 5 events layouts, 7 cause layouts & lots more. You can customize the template color according to your needs. HelpMe packed with pre-designed 5 different color schemes. It designed based on bootstrap. For implementing showcases you will get a premium slider plugin Revolution slider. If you ever need to implement e-commerce functionality, you can do that as well. HelpMe packed with 5 different awesome shop pages. It’s a clean & colorful charity template which will you to present your organization professionally over online. A beautiful fullscreen slider integrated for featuring most valuable content. In the filterable gallery you will be able to showcase your beautiful photos nicely. Photos will appear in pop-up view. Do you some awesome volunteers, feedbacks & partners? What to showcase them also on your website? You can do that easily because Roberta includes with all of those sections. The contact form help you to communicate with your sponsors & visitors directly from your website. Vubon is a multi-purpose responsive website template which can be perfectly used for charity donation purposes. It looks beautiful especially the landing section where background images are animating. All the important page you will find into this template such as cause list/grid, about us, contact us, donation page, photo gallery & lots more. Though, it designed for child charity websites purposes but it can be used for almost any kind of donation & non-profit related organizations. The design looks based on flat concept. All the necessary pages included such as donation, what we do, contact us, blog, about us etc. Nicke designed with responsive technology which ensures multi devices compatibility. Not only that, Nicke has cross browser compatibility means all major browsers are supported. Mercy has light & dark both version. So you can choose one that suit you best. It built for non-profit & charity organizations. All your contents can be displayed professionally by using Mercy Heart charity template. You will have box & wide both version for setting your site up. 3 pre-designed color set available to choose from. If you want to create onepage website, then don’t worry it also included with an onepage version. Orphan Care a beautiful template which lets you create non-profit & charity websites. It divided section by section for implementing various contents like services, activities, photo gallery sponsors, Google map, contact form & much more. The entire template is responsive & has also retina support. Some dedicated pages included for content implementation like about us, what we do, give, contact, blog & much more. By using Donate you will be able to build not only donation sites also other industry websites you can build. It’s perfectly suitable for charity, politician, activism, environmental etc. 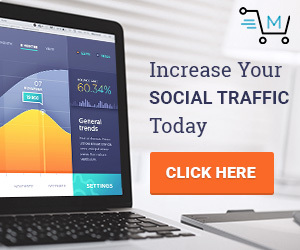 It has some fantastic features which you can use to grab maximum attention from your sponsors. A fullscreen slider it has included for giving it to modern touch. Other sections like causes, fund raising, blog section are also available. Perfect for charity, donation, church & NGO website templates. Different pages layout for each page. ShareLove is a html5 css3 responsive beautiful & professional looking non-profit website template which is suitable for charity, rescue or ngo Company. Virtue is suitable for child care, rescue, charity, donation & non-profit website. It based on twitter bootstrap 3.0. Zakat is a one page responsive scrolling website template for non-profit organization. Humanity is designed for charity, NGO & non-profit organization in mind, clean & responsive design. ICARE is a beautiful clean & elegant design NGO, Non-profit & Fundraising html template which is based on Bootstrap 3. Donation is a perfect responsive, retina ready, seo friendly html template for charity organization. Borno is beautiful & gorgeous looking one page scroll html template which is best for Charity, NGO websites. This template has all those features that a charity website template need. Charitas is a beautiful clean & professional looking charity NGO website template, build on html5 css3 technology. OMG is a fantastic one page scrolling smooth responsive html template, best for mission, communities & churches. iChurch is the perfect template for religious purpose which is comes with 2 different variations. It has onepage & multiple page template versions. Bethlehem is huge feature reach website template which is best for non-profit organization. This template based on twitter Bootstrap 3. Bethlehem has almost all of those features that a donation or no-profit website need.